Emma Lavelle’s Paisley Park had won a handicap at Haydock last time out, displaying a trademark turn of foot, and that was once again in evidence in an incident-packed renewal of a race better known as the Long Walk Hurdle. Firstly, last year’s winner Sam Spinner – who was hesitant at the first hurdle – then got rid of Joe Colliver at the second. Then at the same flight on the next circuit, the well fancied Unowhatimeanharry took a tumble as the field bunched up. Approaching the second-last, nothing could be ruled out with confidence, but Paisley Park could be spotted going very well. Younevercall, Top Notch, Call Me Lord, West Approach and even the outsider Garo De Juilley were all in with a chance approaching the second-last. It was Paisley Park who jumped the last just in front of West Approach. The two pulled clear, with Paisley Park prevailing by two lengths as Coleman punched the air for an overdue top-level win. Coleman was delighted, of course, to have a Grade One winner under his belt at last. “It’s such a relief,” he said. “I’ve been riding an awful long time and I hadn’t had one. “I never thought it was on my mind – I’m not far off 1,000 winners – but 50 yards from the line I finally realised what a monkey it was on my back. Paisley Park has proved himself too. Lavelle can begin plotting a Cheltenham Festival bid for Paisley Park. “I think he will get better,” she said of the six-year-old. “He has posted a personal best today, so we just have to hope he keeps going the right way. “Barry (Fenton, former jockey and partner) rides him all the time, and he kept saying to me bit by bit ‘this bit of work is better than the last bit’. Paisley Park’s owner Andrew Gemmell was the driving force behind moving up to Grade One level with a fast-improving horse. “Andrew owns on him on his own, and he means a lot to him,” added Lavelle. 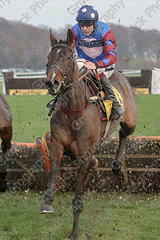 “It has been his plan from the start – the three-mile handicap at Haydock, then here. I just did what I was told. “Andrew said to me at the store sales ‘I want you to buy a horse, and here is some money to do it’. “When we came back and had not spent all the money I think there was a tinge of disappointment I hadn’t spent it on this amazing horse. “(But) he has finished up being a super horse for Andrew and us – it’s our first Grade One, and Aidan’s first Grade One, and Andrew’s.